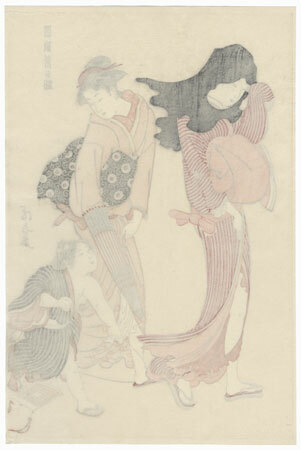 The Entangled Kite String - Attractive Kiyonaga design depicting a young woman, sometimes described as the "townsman's wife," walking on a windy day, accompanied by a young maid carrying an umbrella. 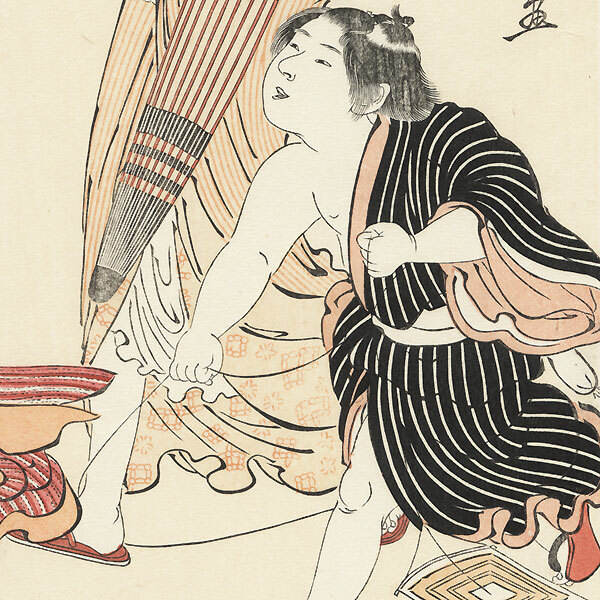 The maid's foot has become entangled with the little boy's kite string, and he runs after her, tugging at the string. 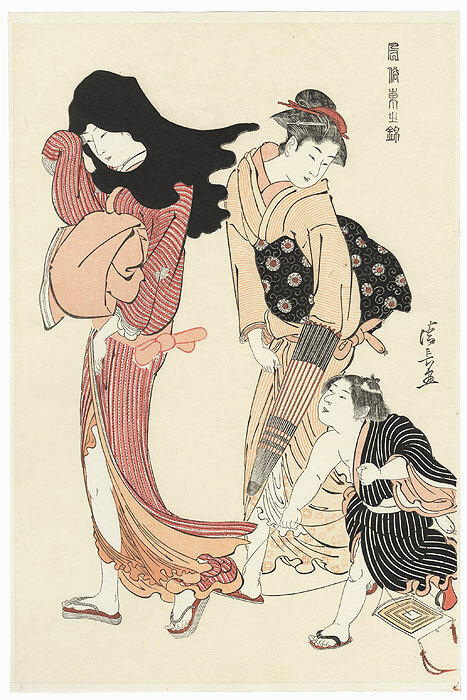 A charming design from Kiyonaga's "Customs of the East" series, which focuses on scenes of women and children in daily life. Condition - This print with excellent color and detail as shown. A few small marks, a few light creases at edge. Please see photos for details. Good overall.